Black Lives Matter campaigners have hailed the “historic” verdict that saw police officer Jason Van Dyke convicted of murder on Friday for killing black teenager Laquan McDonald nearly four years ago. 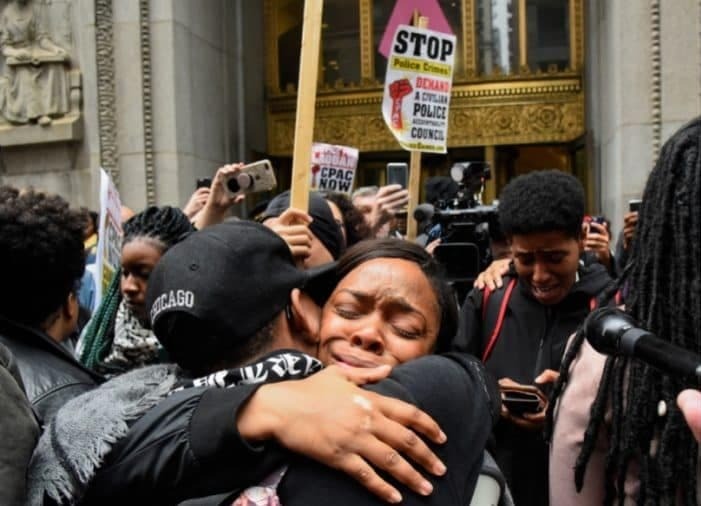 Mr Van Dyke, who shot 17-year-old Laquan 16 times in the back in Chicago on October 20 2014, becomes the first city officer to be convicted of murder for an on-duty shooting in 50 years. But jurors convicted the officer of second rather than first-degree murder, accepting Mr Van Dyke’s claim to have believed his life to have been in danger, but ruling it was an unreasonable belief. Laquan’s murder caused a national storm in late 2015 when police dashcam footage was released showing him walking away when he was shot, and Mr Van Dyke continuing to fire at his prone body on the ground. The officer testified that Mr McDonald had raised a knife against him, but prosecutors pointed out the footage proved this was not the case. 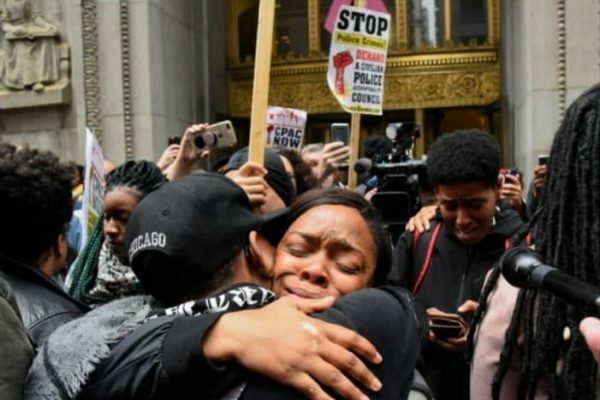 Black Lives Matter Chicago organiser Aislinn Pulley told reporters the verdict was a “historic moment for this country” and “the culmination of organising by thousands and thousands of people demanding justice for their loved ones who have been killed by police that have received zero accountability. “It should have been first-degree murder, so I’m not going to say I’m satisfied 100 per cent. But this is a win,” she told In These Times magazine. At the weekend, it emerged that Timothy Loehmann, one of several police officers who shot and killed 12-year-old black boy Tamir Rice when he was playing with a toy gun in November 2014, has now been hired by another police department in Bellaire.